Abu Dhabi has included Hindi as the third official language to be used in its courts, alongside Arabic and English. It is part of the efforts of Abu Dhabi to improve access to justice. The inclusion of Hindi language is aimed at helping Hindi speakers to learn about litigation procedures, their rights and duties without a language barrier. Indians constitutes 30 per cent of the total population and is the largest expatriate community in the country. Kerala government organised ASCEND 2019, an ambitious initiative to position the state as an investment hotspot. The two-day initiative will display the improved Ease of Doing Business in Kerala. ‘Invest Kerala Guide’ – a compendium of administrative and policy reforms was released by the Chief Minister Pinarayi Vijayan. Invest Kerala Portal would be launched to improve the investment ecosystem of the state and help entrepreneurs to set up a wide array of enterprises and conduct business in a congenial environment. 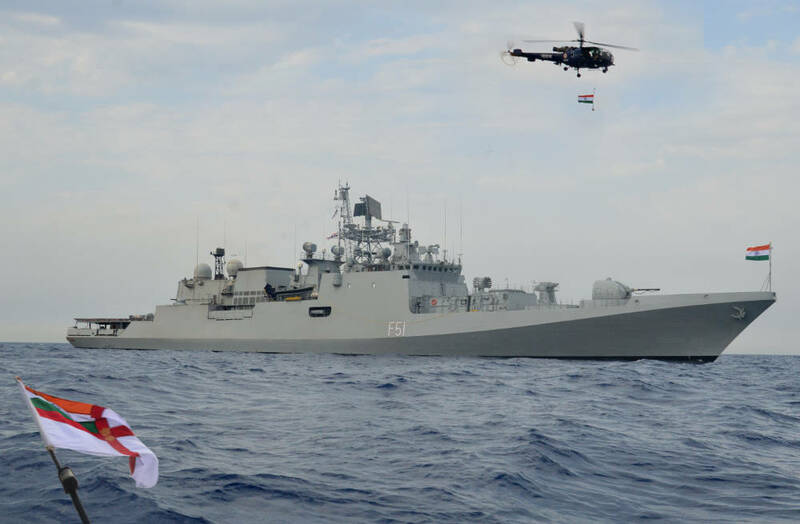 INS Trikand, a front-line warship of the Indian Navy, participated in a multinational training exercise ‘CUTLASS EXPRESS – 19’ held from 27 Jan to 06 Feb 19. The aim of the exercise was to improve law enforcement capacity, promote regional security and progress inter-operability between the armed forces of the participating nations for the purpose of interdicting illegal maritime activity in the Western Indian Ocean. During the exercise, Naval, Coast Guard and Marine Police personnel from a number of East African countries were jointly trained by mentors from USA, India, and Netherlands. The 125th Constitutional Amendment Bill has been introduced in the Parliament to increase the financial and executive powers of the 10 Autonomous Councils in the Sixth Schedule areas of the northeastern region. The amendments proposed will provide municipal councils, ensuring democracy at the grass-root level for elected village. The amendment empowers the village councils to prepare plans for economic development and social justice. The seventh annual World Government Summit, which is a forum dedicated to shaping the future of governments worldwide, is being held in Dubai (UAE). It sets the agenda each year for the next generation of governments, focusing on how they can harness innovation and technology to solve universal challenges facing humanity. It provides a unique platform to showcase and exchange best practices and smart solutions to the challenges that nations face. The first World Government Summit was held in Dubai in 2013. Uttar Pradesh Chief Minister Yogi Adityanath flagged off the Sarthi Sandesh Vahini vehicles, a mission initiated by Uttar Pradesh state family welfare department to spread awareness regarding family planning in urban and rural areas. The Sarthi Sandesh Vahini vehicles will provide family planning information to the viewers through various documentaries and films. India and Norway signed a letter of Intent for establishing the India-Norway Marine Pollution Initiative during the visit of the Norwegian Prime Minister’s visit to India in January. The first Joint initiative aims to combat marine pollution, which is one of the fastest growing environmental concerns. 1. Which among the following is not an official language to be used in its courts of Abu Dhabi? 2. Which among the following states has initiated ASCEND 2019? 3. CUTLASS EXPRESS is a ____ exercise? 4. ______ Constitutional Amendment Bill has been introduced in the Parliament to increase the financial and executive powers of the 10 Autonomous Councils in the Sixth Schedule areas of the north-eastern region? 5. When was the first annual World Government Summit held? 6. Which state has initiated the Sarthi Sandesh Vahini vehicles to spread awareness regarding family planning in urban and rural areas? 7. With which country, India recently signed an MoU to combat marine pollution?